Right now there is a limited amount of good inventory in Fort Lauderdale and South Florida. That is why you need to be using a renovation loan now more than ever. It is the most underutilized loan due to so many myths. In 2015, 53% of buyers undertook a home improvement project within 3 months of buying, typically spending $4,550 in improvement projects. 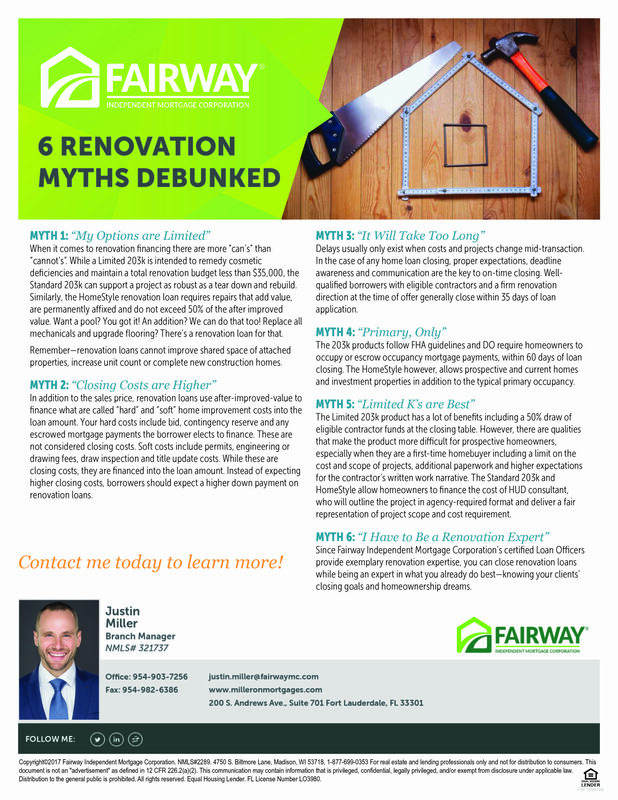 Of all remodeling expenditures, over 70% are spent annually on projects exceeding $5000, with the average well above $20,000. Make sure to click on and read about all of myths on the document above.